The Kentucky Center for School Safety announces Kentucky Safe Schools Week, is set for October 21–27, 2018. This year’s campaign highlights the word SUPER and the qualities necessary to bring "Supers" into the sunlight! Join our Kentucky Safe Schools Week Campaign and Be lncredible! 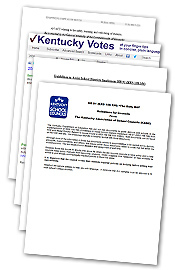 Click below to view a slideshow capturing Kentucky Safe Schools Week participation by students, educators, school support staff, parents, community members and other interested school safety supporters across the state. The slideshow ends with day-by-day images of how our pledges grew on the pledge map. 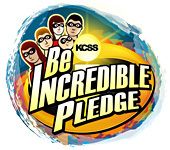 The map’s growth is all due to your participation in this year’s Kentucky Safe Schools Week “BE INCREDIBLE, Reveal Your SUPERhero! Pledge Against Bullying.” We cannot thank you enough for your support during this week of school safety awareness and all that you do to focus on safety every day. Join the Celebration in your School, Town and County! Resources to include in your lessons or planning for creating a safer environment in your school. Safe Schools Week – National School Safety Center - NSSC includes a list of ideas and activities that may appropriately be introduced during America's Safe Schools Week (Oct. 21-27, 2018). Some of these suggestions may already be part of district or school site programs. Many of these ideas may be initiated and carried out by school-site principals or parents' groups working with local school administrators or by school district public relations directors, working cooperatively with school superintendents and other district administrators. America's Safe Schools Week - SAVE Promise Clubs - America’s Safe Schools Week offers an opportunity to address... and to take steps to ensure that schools offer students and teachers an environment in which they can perform to the best of their abilities. Suggested ideas are included on this site. PACER's Site 4 Teens - PACER'S National Center for Bully Prevention This site for middle and high school students includes interactive sections on defining bullying, feelings about bullying, how to respond to bullying and scenarios/ testimonials from students who have been bullied. Search the website by clicking on the headings across the top of page, “Identify”, “Respond”, “Listen” etc., to access useful and up-to-date information about how to approach and prevent bullying. --How Can You Help - Bullying doesn’t affect just those who are bullied and those who bully, it has a huge impact on those who see the behavior! Learn more about how you can get involved and be a positive influence on others. Thinkfinity- High Interest Novel for Struggling Readers - 6-90 minute sessions for 9-12 graders. In many of today’s schools, bullying and violence are prevalent. After completing this lesson, students will have a more in-depth understanding of these problems. Using a realistic, high- interest novel (The Bully by Paul Langan) and interactive reading strategies, students discuss many issues that surround bullying and consider what they themselves can do to prevent bullying. Spookley the Square Pumpkin by Pacer is a square pumpkin who lives in a round pumpkin patch world. In The Legend of Spookley the Square Pumpkin, a perennial fall favorite children’s story, Spookley helps you understand that the things that make you different are what make you special. There is a teacher toolkit (pre-school, K-3) to accompany The Legend of Spookley the Square Pumpkin from PACER’s National Bullying Prevention Center. Olweus Bullying Prevention Program If your schools are looking for a research-based school-wide bullying prevention program the Kentucky Department of Education is offering to train your school in the Olweus Bullying Prevention Program. The Kentucky Department of Education chose Olweus because it is the oldest and most renowned bullying prevention program out there, and appears to be one of the best, as it is evidence-based and research-based. More than just a quick “fix-it” program, Olweus focuses on schoolwide, classroom, individual, community, and parent components to provide a true framework approach to preventing bullying. Sherri Clusky and Victoria Fields are the leads for this program at KDE and for the state of Kentucky. Safe Schools For Kids Video - Kentucky State Police - KSP has unveiled its new Safe Schools Program for younger kids! In an effort to teach kids about school safety, and not scare them, they are providing this video for schools to use as a recourse for their kids. They welcome any school or organization to utilize this video as a tool in their classroom. Feel free to use the streaming link from YouTube, or download the file here. Social Media/Internet Safety - Be aware when using social media accounts, even disappearing content sites, that IP addresses are being logged by the site. If one uploads threatening material, risky pictures or cyberbullying the IP address can be used to locate the offender. Nothing disappears on the Internet and think before you click. Safe Schools Week 2018 PowerPoint Presentation - Use this PowerPoint as an overview for KY Safe Schools Week. Bullying PowerPoint Presentation - Bullying: This powerpoint explains what bullying is and how to deal with situations if you feel like a victim. CyberBullying PowerPoint Presentation - CyberBullying: This downloadable powerpoint is a brief overview of cyber bullying and includes a definition, statistics and communication. Sexting PowerPoint Presentation - Cell Phones and Sexting: This powerpoint is an overview of sexting which includes a definition, the consequences and the ramifications if caught with sexting photos. Suicide Prevention PowerPoint Presentation - Suicide Prevention: Roll of a Teen. This downloadable powerpoint is a brief overview of suicide prevention which includes facts, risks and roles. OnGuardOnline.gov - (The Federal Trade Commission) OnGuardOnline.gov is a partner in the Stop.Think.Connect. campaign, led by the Department of Homeland Security, and part of the National Initiative for Cybersecurity Education, led by the National Institute of Standards and Technology. It has many free downloads and videos available for schools and communities. From SAMHSA - Get Know Bullying, the free app from SAMHSA that can prevent bullying. Research shows that parents and caregivers who spend at least 15 minutes a day talking with their child can build the foundation for a strong relationship and help prevent bullying. 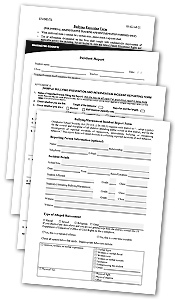 Kentucky Anti-Bullying Laws & Policies – stopbullying.gov – lists key components in Kentucky anti-bullying laws and policies. KET Health Three60 Video Program: "When Children Are Cruel - Bullying has become a serious concern in school districts across the state and in the nation. Host Renee Shaw and guests explore the impact of bullying on students today, the role of bystander intervention, and how schools are implementing anti-bullying programs. Kids Against Bullying Site - PACER'S National Center for Bully Prevention This site has many creative resources to educate elementary students about bullying. It includes an animated cast of characters, information, celebrity videos, Webisodes, interactive games, animation, contests, and other activities. 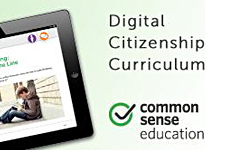 Common Sense Media addresses top parenting concerns including cyberbullying, cell phone guidelines, character and life skills, etc. Also, the website has independent reviews, age ratings, & other information about all types of media. Just for You: Parents - Resources to help you talk to your kids about online safety and responsibility. NEA’s 10 Steps to Stop and Prevent Bullying - Whether you are a parent, an educator, or a concerned friend of the family, there are ten steps you can take to stop and prevent bullying. You can discuss these with your class or have students choose one of the ten and explain it to the class. The Kentucky Center for School Safety website has a “Parent Resource” page with materials, handouts, etc. from this site and others that might be useful. 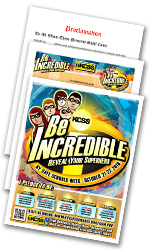 Ky Center for School Safety invites every community across the Commonwealth to “BE INCREDIBLE, Reveal Your SUPERhero!”. It will take a personal commitment and here are tools to use during the Ky Safe Schools Week Campaign. Successful Community Efforts to Prevent Bullying – Edutopia - The strongest anti-bullying campaigns include students, faculty, parents—and the larger community as well. Involving the whole community in bullying prevention ensures that not only the students and staff but also the parents and the larger community work toward shared goals of kindness, inclusion, and acceptance. This approach begins with parent education and moves to getting the community involved in the school. Finally, getting the school involved in the community promises a greater possibility for sustained change. This article suggests ideas for parent and community involvement in anti-bullying activities.